On N 36th Street across from the George and Dragon Pub, Pomerol offers dinner seven nights a week with northwest ingredients prepared in the French style. Pomerol has a wood fire grill, patio space for warmer weather, and a wine list including French and West Coast vineyards. Since opening this summer Pomerol has been recognized by a variety of food publications including Zagat, Seattle Met, and Seattle Eater. The unique IPA Berry Sorbet has attracted a fair share of attention as well. Reservations can be made over the phone or online. For more information about upcoming events and the latest press coverage visit the Pomerol Facebook Page. Farther west after N 36 Street becomes Leary Way NW, Tray Kitchen has opened up shop in one of two new restaurant/retail spaces at the former Seattle Tire Service location. Owner Heong Soon Park also has two popular restaurants in downtown Seattle, this is his first venture in North Seattle. Drawn by the up and coming neighborhood and excited for a new experience Tray Kitchen brings a unique dining experience to a unique part of town. Opened at the beginning of November, Tray Kitchen currently serves dinner everyday from 5-10pm. The menu offers a unique fusion of Northwest produce, much of it grown on Park’s farm in Woodinville and Korean inspired dishes. In addition to unique dishes, food is served in small a la carte portions with a dim sum cart making the rounds providing diners with “of-the-moment” dishes. Manager John Blechman explains that guests can “spend a little or a lot” but are sure to find it an exciting place to eat with “great variety.” He also recommends trying Tray Kitchen’s variety of natural or biodynamic wines. To go with offering a variety of small plates the restaurant also offers 1/2 glass wine pairings, 4 tastings for $25. Beginning in September brunch will also be available on Saturday and Sundays. Happy Hour is all day on Sundays and Mondays at the bar and everyday until 6:30pm. Tray Kitchen accepts online reservations and tasty posts on Facebook. As of October 1st Old School Frozen Custard closed their Fremont location on N 34th Street. The Capitol Hill location remains open on Pike Street. Packaged pints are also available through partner stores throughout the Puget Sound region. Paseo’s is closed (in case you hadn’t heard). The sandwich phenomenon has now become a local news phenomenon. Following the closure Paseo filed for bankruptcy and most recently a Kickstarter campaign to reopen the beloved pink sandwich shops pulled the plug. Read more about the failed Kickstarter campaign here on our sister site My Ballard. 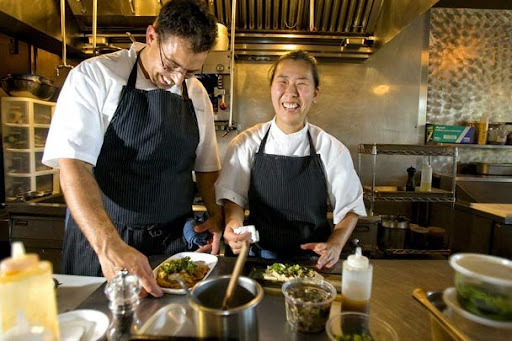 Back in October, we heard about plans for a new restaurant in Fremont from Rachel Yang and Seif Chirchi, the chefs behind Wallingford’s Joule. Those plans will come to fruition when their new restaurant, Revel, and the adjacent bar, Quion, open their doors to the public this Friday, December 17. The new space is a partnership between the chefs, Chad Dale, Bryce Philips, and Ira Gerlich. Revel and Quoin (an architectural term for cornerstone) are located at 403 N. 36th Street. Revel will focus on Asian street food like pancakes, dumplings, rice and noodles with the signature look and taste from Rachel and Seif. Look for dishes ranging in price from $8-$15. Revel will serve lunch Monday through Friday and dinner seven days a week and, beginning in January, will serve Saturday and Sunday brunch. Quoin will be open daily from 4pm-12am with beer, assorted wines and spirits and house-infused Soju cocktails. Both Revel and Quion feature outdoor seating in the rear. Revel can seat twenty people on their deck while Quoin fits fifteen along with the twenty folks that can be seated at their bar. You may have already noticed the funky mural outside of Revel. That was designed by Pubs One, a local graffiti artist. Read up on the chefs, who almost won Iron Chef America a few years back, in this article. The people behind Quinn’s Pub on Capitol Hill have decided to try their hands at burgers in Fremont. 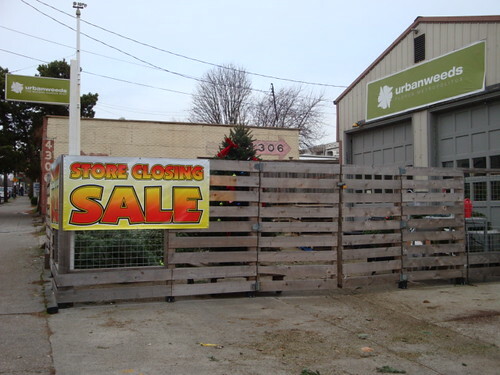 Our partners at the Seattle Times report Uneeda Burger will open in the former Urbanweeds location at 4302 Fremont Avenue. The name comes from another former tenant of the building, Uneeda Auto and Boat Rebuild. “We’ll have two levels of burgers,” chef Scott Staples told the Times. “Your standard quarter-pound Painted Hills beef” and — for a buck or two more — grass-fed beef from Thundering Hooves. Uneeda Burger is expected to open in the next couple of months. The folks behind Joule in Wallingford are starting a new venture in Fremont. Rachel Yang and Seif Chirchi will open a more casual, budget-conscious restaurant called Revel in Fremont late this year, Seattle Magazine reported this morning. Allison Austin Scheff writes that the married Joule chef-owners “are going Korean-casual when their second restaurant opens, with a menu of Korean pancakes, salads, dumplings, noodles and rice.” All dishes will be under $15. We’ve learned the vacant space above Chiso sushi restaurant is about to reopen. Showa, formerly Kappo, has just applied for a liquor license in the Peck Building at 701 N 36th. Earlier this year, Taichi Kitamura sold Chiso and closed the upstairs intimate Kappo before opening a new place on Eastlake. Kitmura’s name is on the liquor license application for Showa, so it appears he will be making a return to Fremont. In fact, this summer he told our news partners at the Seattle Times that he might turn the place into an izakaya. A little over a month after we first told you that Persimmon Cafe was being replaced by a new restaurant, Hunger has opened its doors at 4256 Fremont Ave. We stopped by today for a personal tour from owner Brian Brooks. The place is intimate and cozy, perhaps the reason why so many couples have been showing up. “We’ve seen a lot of people out for date night,” said Brooks. Hunger boasts a new bar and kitchen, where co-owner and chef Jaime Mullins was busy cutting up some fresh produce that was bought from Pike Place Market just this morning. The menu is Mediterranean inspired with dishes such as paella, smoked lamb, and braised boar. Brooks tells us businesses has been very brisk in the first few weeks and word of mouth seems to be drawing a lot of customers from the immediate neighborhood. As suspected, Buckaroo Tavern will close its doors on Fremont Ave. after 72 years in the neighborhood, confirms our partners at the Seattle Times. The owner, Donna Morey, says the tavern’s lease was not renewed, but her grandson is exploring options to reopen elsewhere in the neighborhood later this year. In the meantime, a liquor license in the tavern’s window explains that a new restaurant called Nils-Sila Pub will be opening at the location soon. Buckaroo’s last day is September 17th. Spoke and Food is a new event designed to let cyclists get their exercise, and a reward of a nice meal, coupled with a donation to charity. Ride your bike to a participating restaurant on Tuesday, June 29, and the restaurant will donate 15-20 percent of the profits to Lettuce Link, a program of Solid Ground. The main goals of Spoke & Food this year are to motivate our community to use their bicycles as they dine out and to improve access to healthy food for all by supporting Lettuce Link, an innovative food and gardening program growing and giving since 1988. Lettuce Link creates access to fresh, nutritious and organic produce, seeds, and gardening information for families with lower incomes in Seattle. Restaurants in Fremont and all across Seattle will have to make a big change starting July 1. That’s when an ordinance will require all single-use packaging and food ware to be compostable or recyclable. Restaurants and food service businesses will also have to put up new bins for customers to sort their trash. Today, Seattle Public Utilities invited Fremont Universe to Safeco Field for a look at how the Seattle Mariners are already implementing the program. All food vendors at the stadium have switched to compostable products and bins have been set up on all levels so fans can sort the trash after they’ve finished eating. Safeco hopes to have a recycling rate of over 70 percent. Restaurants will face added costs from the new ordinance, and some have pushed back against Seattle Public Utilities. The Washington Restaurant Association says most restaurants in Seattle are interested in using more sustainable practices, but they have questions about cost and customer safety. SPU says many businesses, like Taco Del Mar which made the switch the eco-friendly ware back in 2008, are more than willing to make the change.